Enter here to win a Flip system with an organic insert! 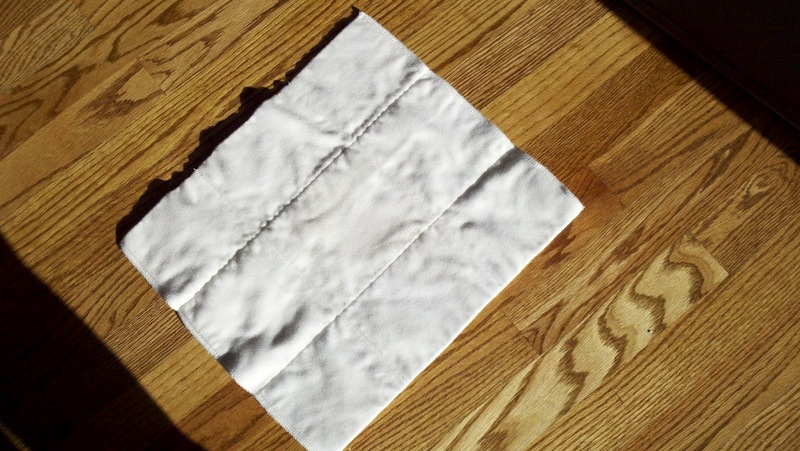 I absolutely, 100% could not cloth diaper without my Flip organic inserts! I would not know what to do for nighttime without these! Before I discovered my current nighttime solution we had leaks. No matter what I stuffed into any of his pockets, he was soaked by 4 am. The last thing I want to do in the middle of the night is change a diaper AND pajamas AND the bedding! 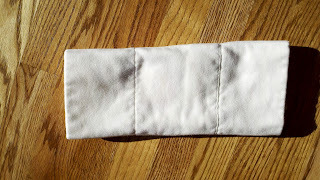 On a desperate search for a solution multiple cloth diapering mamas suggested the organic inserts. So now, for nights only, I use a Flip organic insert laid inside a Flip cover with 2 Hemp Babies doublers, folded in half, behind the organic. It works! It is a bit bulky, but the baby doesn't seem to mind. He doesn't have any problems rolling around in his crib. He also doesn't seem to mind the wetness against his skin. He has made it 13 hours in this combo with no leaks! The organic does not have a stay dry layer wicking away the moisture like all the pockets he's used to. If you think the moisture would bother your baby, some mom's use a Flip stay dry insert on top of the organic instead of pairing it with a hemp doubler. The Flip organic is a prefold made of organic cotton. It is incredibly soft! It can be made into 2 sizes. 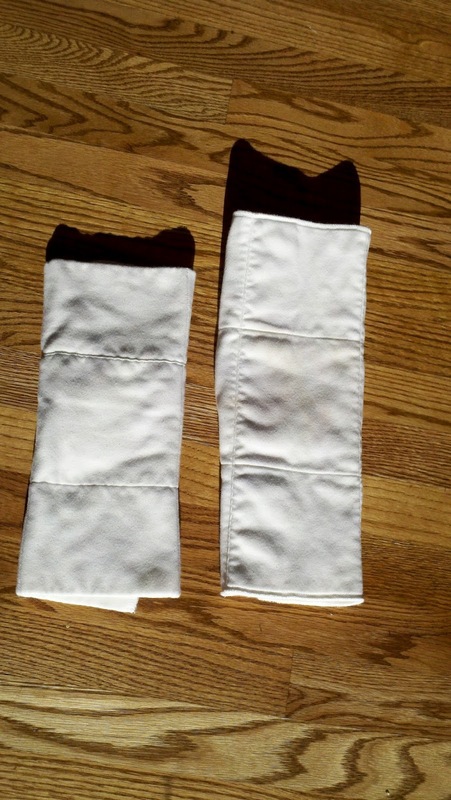 If you fold it in thirds one way it makes a longer diaper or you can turn it and fold it in thirds the other direction to make a slightly shorter one. 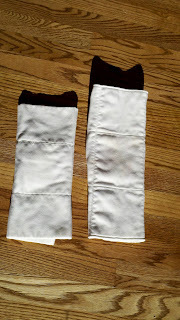 My only complaint is that these do stain pretty easily, but they can be bleached and sunned to remedy the problem. I'm hoping for a clothesline soon so I can get some regular sun on my diapers for the stains! What is your nighttime solution? Are you still searching? I'll be giving away a Flip organic insert (along with a Flip cover) and all the other items posted in the series in my favorite things giveaway this week! Tomorrow is my last post in the series! Here's a hint...hearts! Are you unsnapping the rise all the way on the cover just for nights? Noah needs it unsnapped all the way due to the bulk. I only have 1 fitted, a Kissaluvs newborn. He's grown out of it of course, but I didn't like that when he wet his whole entire diapered area was soaked! It didn't seem to bother him, but it did me. The giveaway will be posted tomorrow!